During her time at College, Kallisti has taken the opportunity to take part in many external projects and competitions. 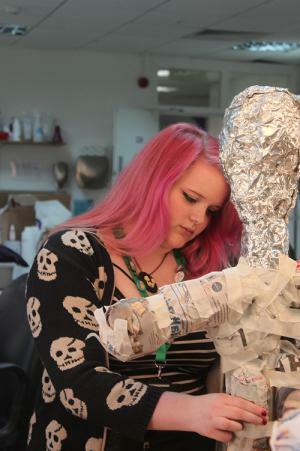 Most recently, she was placed 2nd at the Association of Hairdressers and Therapists (AHT) 2018 National Finals in the ‘Prosthetics’ Category. With a passion for prosthetics, Kallisti worked with Thorpe Park to promote The Walking Dead ride, and created looks for Tulleys Shocktober Fest.